Hello, I’m Cathy and I am the Clinical Manager in our Fort Myers office. I came to Caring Medical almost two decades ago with 10 years of experience in the medical field, 6 years in Natural Medicine and 4 years of active duty in the Air Force as a medic. My work is my passion so I will always give 100% to patients as well as my team members. I am known to practice what I preach so if I am talking to you about diet changes, Prolotherapy, reducing stress, or working on your spiritual journey just know that I have done those things in my personal life and seen the power of these things on healing. I would love to share my experiences and my compassion with you during your healing journey as well. In my free time I love to cook but I rarely follow a recipe because I love to create new dishes. I have a passion for feeding my friends and family healthy but delicious meals. With my recent move to Florida my family and I have been enjoying newfound friends and venturing to all of the new areas around Florida especially all of the beautiful beaches! Hi my name is Christi and I am a Registered Nurse here at Caring Medical in Illinois. I have double Bachelors in Psychology and Nursing. After being diagnosed with stage 3 melanoma and going through treatments, I felt a calling to become a nurse to help others. I have been working as a nurse since 2007. My career has given me the opportunity to work in many areas of healthcare. I have worked in Hospice, Alzheimer care, Oncology, Ortho/ Neuro post-surgical and as a Research Nurse for non-opioid pain control for chronic pain. My passion is to help people live healthier and improve their quality of life. I am so happy to be part of the team here at Caring Medical where the staff is truly caring and knowledgeable. In my free time, I enjoy spending time with my family, friends, traveling and meeting new people. My hobbies include reading, music (all kinds), movies, meditation yoga, anything Disney, and walking around our lively city. My guilty pleasure is re-fashioning clothes from thrift shops. It is so exciting to me to find something old and sew it into something completely new! My favorite is making dresses out of big shirts. Hi my name is Cindy and I am the Radiologic Technologist/Clinical assistant here at Caring Medical in Oak Park. I have a Bachelor of Science degree from University of St. Francis, an Associate of Applied Science degree in Radiology, and am state licensed in MRI. I have 30 years of experience in the medical field in hospital and orthopedic office settings. Before Caring Medical, the previous 9 years of my work was focused in Pain Management. Seeing patients get their quality of life back is what attracted me to this field. I am excited to be a part of the knowledgeable and compassionate Caring Medical team. In my spare time, I enjoy walking, biking, and stair climbing. I enjoy spending time at the beach, or anything outdoors with my children, family, and friends. We try to take advantage of all the city has to offer. I look forward to continuing to meet patients from all over the world, and working with this amazing team to help our patients receive the best possible care and healing. Hello, my name is Erin and I am a Registered Nurse. I earned my nursing degree from the University of St. Francis in May of 2009. I personally believe that nursing is more than just a vocation; it is a mission, or service to others. That is why I truly appreciate the individualized approach and holistic philosophy at Caring Medical. I am very grateful to be working with such a dedicated and knowledgeable staff here. Over the years of being a part of the team, I have enjoyed witnessing the tremendous positive effects of Prolotherapy and Natural Medicine in the health and lives of numerous patients! While I was in nursing school, I gained experience providing home healthcare to a variety of patients in their home environments. Prior to nursing school, I spent eight years in the social service field working with individuals that had developmental disabilities and psychological disorders. My experiences in working with those individuals served to enhance my fascination with healthcare and led me to pursue nursing as a career. It has been an exciting journey to work with patients from all different walks of life. Like many of the other staff here, I am also an animal lover and I currently have three happy, yet mischievous, rescue cats. I am also a former collegiate athlete who still enjoys running, swimming and biking. I look forward to working with you and please rest assured that myself and the other staff at Caring Medical will do our very best to help you achieve your highest quality of life through optimal health. See you soon! Hi, my name is Fontella. I am the Director of First Impressions here at Caring Medical in Oak Park. I will most likely be the first face you see when you come to our Illinois Clinic! I worked as front desk receptionist in a Family Medicine Clinic for three years before coming to Caring Medical. I’ve met so many unique people of, all ages, different cultures, and so many walks of life throughout my time working in healthcare. This is the best part of my job. I am so inspired by all of our patients! I grew up on the East Coast and, after graduating, I relocated to Chicago. I am always ready for a good conversation and like a good joke. I enjoy spending time with my family and friends, gardening, exploring the city, traveling, and watching my daughter dance! My name is Havil Maddela, and I’ve lived in Oak Park for most of my life. I have my Bachelors in Biology from Loyola University Chicago and a Masters of Public Health from St. George’s University. I am also Certified in Public Health by the National Board of Public Health Examiners. I matriculated into the St. George’s University School of Medicine, but I am currently in the process of transferring to school here in Chicago. I have worked as a clinician with Dr. Hauser and the CMRMC staff for over eight years, and have had the privilege of publishing several articles with him. I am truly blessed to work in such an exemplary model of both health and care. Hi, my name is Izzy and I am the Marketing Coordinator at Caring Medical. 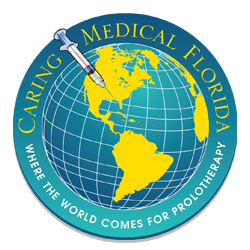 I have been with Caring Medical since 2016 and have learned so much about how Prolotherapy can change lives. I am proud to be part of such an amazing team dedicated to helping others through not only regenerative medicine but also through compassion and understanding. I have a Bachelor’s degree in Hotel and Restaurant Management with an emphasis in Event Planning but have always enjoyed my time working in marketing and promotions. 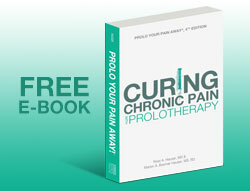 I look forward to spreading awareness to our community about the benefits of H3 Prolotherapy. In my spare time, I enjoy DIY home improvements and craft projects, spending time with my husband, two boys, and dogs. Together we enjoy taking family vacations to Disney as well as back home to Missouri. We also love boating, swimming and spending time at the beach. Hi, my name is Jessica and I am a Medical Assistant at both of our locations. I am very excited to be a part of this team! We truly care for our patients and treat them like family. Our office takes the time to listen and understand whether we have seen you once or many times over the years. I received my training from Kaplan University and hold an Associate’s Degree in Applied Science with a major in medical assisting. I am happily married with two kids, two dogs, two guinea pigs, and one cat. We spent 7 years as a military family moving around the country. During that time I enjoyed volunteering with different military communities as well as mentoring families and service members. In my spare time, you will find me at the beach, the gym, or spending time with my family and friends. I love reading and playing music. I live each day to the fullest and cherish even the smallest moments. Hi, my name is Joe and I am the Licensed Practical Nurse here at Caring Medical in Illinois. I am a native Chicagoan, but spent most of my adult life in Peach state, Georgia. I have been back to Chi-town for quite a while now and I love it, except for the winters. I made a big career change having entered the medical field after twenty years as a certified executive chef. I love biking at the lakefront, following the Chicago Cubs, urban gardening, and messing with my tropical fish. 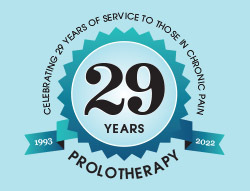 I am impressed with the great outcomes our Prolotherapy patients experience. After spending four years in occupational health, it is rewarding to see patients actually get better. I look forward to seeing you here at the clinic, and if you are looking for a classical French or Italian recipe, just ask me. My name is Kristina and I am happy to be a part of the Caring Medical team as the Manager of our Fort Myers, Florida office. I have worked in a medical office for a number of years and I am also a certified phlebotomist. As the first point of contact I strive to provide the best possible service to everyone I come in communications with. One of my favorite parts about working here is getting a chance to meet interesting people from all over the world. I genuinely care about our patients and will do all I can to make sure your visit here is everything you wanted whether it be clinic related to restaurant recommendations; please don’t hesitate to ask. In my free time you can find me spending time with my family, friends, enjoying the beaches here in sunny Florida or reading the newest romance novel! Hello, my name is Mandi and I work as the Chief Operating Officer at Caring Medical which involves working closely with the owners and the management team to keep everything running smoothly here at Caring Medical. My job is different every day, as there is a lot going on here at Caring Medical – that’s why I like it so much! I enjoy meeting patients from all over the world and hearing their stories. I have an Associate of Science degree from Southwestern Illinois College, along with 16 years of experience in the Investment and Securities industry. I am originally from Southern Illinois, but relocated to the Chicago area in 2011. A little bit about me when I’m not at the office: I enjoy spending time with friends, family and my wonderful church family. I love to travel and experience the different cultures from all over the world. Hi, I’m Marion, the Chief Executive Officer of Caring Medical and a traditionally trained Registered Dietitian. I am truly blessed to lead our wonderful team in providing our patients with an awesome experience that goes above and beyond what you may have come to expect from chronic pain healthcare. There is a lot of hard work that goes on behind the scenes to do just that! When we see the superior results of patients achieving pain relief and seeing their lives restored, it is all worth it! I am more passionate than ever to work in the field of Regenerative Medicine! It has been quite a journey! Read about my formal education, publications, and more. Hi, my name is Meg and I am an LPN originally from Pittsburgh, PA. Since graduating from nursing school in 2010 I have worked in West Africa and Southeast Asia on projects to decrease infant mortality rates and improve the overall health and nutrition of rural villages using medicinal plants like Moringa. I am also certified in Integrated Management of Childhood Illnesses, and Helping Babies Breathe. In 2015, I moved to Florida for an internship at ECHO Global Farm to learn more about food as medicine and nutrition. At age 15, I was diagnosed with Ehlers-Danlos Syndrome and have been so blessed to be able to better empathize with my patients as a result of my personal experiences. I am so excited to share with others the difference nutrition can make in healing! In my free time, I enjoy growing and eating rare tropical fruits and vegetables, baking wedding cakes, playing volleyball, and swimming. My name is Nicole and I am a Certified Holistic Fitness Practitioner and the Creative Director for our clinics. My passion for writing and food lead me down the path of co-authoring The Hauser Diet: A Fresh Look at Healthy Living, in 2007. If you have not picked up a copy of our book, you should. It explains how to apply the principles of The Hauser Diet® to find your individual Diet Type to help you maximize energy, as well as optimize your health and fitness. You can learn more about the book at www.amazon.com. My avid interest in all things alternative, including medicine, has allowed me to put this knowledge into practice and become an instrumental writer/editor for the many publications associated with Caring Medical and Sorridi Business Consulting’s printed materials: website content, case studies, brochures, articles, and The Journal of Prolotherapy®. 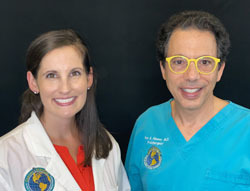 I also head up our video/media team to keep expanding our Prolotherapy and Natural Medicine videos and answer your questions on our Youtube channel. While you’re in the clinic, you may see me with a camera in my hands capturing shots of the great work our team is doing, and share it with you online. If you have a Prolotherapy success story you want to tell, a request for a video topic that we have not covered yet, or any specific questions on our clinic, please email me at bairdn@caringmedical.com. In my free time, I enjoy traveling, hiking, playing piano, road biking, swimming, learning French, and playing with my two dogs. Maybe I’ll see you on the road! Thanks for taking the time to learn more about me and our talented staff. Hi, I’m Rachell and I am the Executive Assistant. I do a little bit of everything related to the administrative tasks here at the clinic. It’s a busy office, and I thrive on that. I have been working in the medical field for a number of years in varying environments including hospitals and an outpatient dialysis center. The patients who I meet every day continue to motivate me in my work. I am born and raised in the Chicago area and love talking to people about the local areas to try for food or entertainment. One of my favorites include the wonderful theater culture that Chicago has to offer with all of the Broadway shows. I’ve seen Phantom of the Opera four times if you can believe it. I’d go again anytime! I am very involved with my church family in Brookfield. They provide me with spiritual support and love that I am eternally grateful for. Hello, my name is Sarah and I am one of the clinical team members in our Fort Myers, Florida office. I am grateful to be part of a passionate and caring team who truly makes patients the priority. I received my Bachelors of Science degree in Exercise Physiology at Florida State University in 2015. I then received my Emergency Medical Technician license after completing the courses and clinical requirements at TCC Fall of 2016. I have also worked as a certified personal trainer for about a year, which was great, but my true passion lies in alternative medicine. I believe that my background will help patients in all aspects of their care here. My ultimate goal is to become a PA and perform Prolotherapy treatments. Outside of work, I love to be active. Primarily, I train for triathlon races because I enjoy competing, which keeps me motivated. I also dabble in running and cycling races, and am training for open water swim races. For relaxation, I enjoy fishing and boating with my family. I also enjoy spoiling and playing with my dog, Nala, and my boyfriend’s dog, Emma. Hello, my name is Torin and I am a Clinical Assistant here at Caring Medical, as well as assisting both the Administrative and Marketing team. I am a graduate from DePaul University with a B.S. in Health Sciences [Biomedical Sciences] and a minor in Biology. During my time at DePaul, I was fortunate enough to have some amazing experiences that have helped build & establish my passion and love for helping others such as my time working as a TA, a Supplemental Instructor Leader for chemistry, a private tutor for organic chemistry, to being a mentor to students, which lead me to establish DePaul’s very first pre-medical club called Pre-Medicine Undergraduate Mentorship Program (P.U.M.P). My passion is both academics and lending my hand to those in need. I have always been fascinated with helping people by inspiring and motivating others to be the best version of themselves. I am planning to attend medical school soon and, if one day I can fix someone’s pain, then I know I’ve done something right in this world! For these reasons, I knew the medical field was my destiny and the only field I want to take part in. I feel so blessed and honored to be working at Caring Medical and have the chance to learn and grow as a person and help as many people I can on the way! Outside of work, I like to enjoy the simple things in life, such as long walks and talks with my friends and family. My favorite sport is MMA and I like to practice boxing myself. One of my favorite things to do on my free time is writing poetry, mainly love poems or motivational poems/speeches. I am a huge nerd when it comes to movies and love series such as LOTR, Game of Thrones, Star Wars, any Marvel film with superheroes, and can’t forget Harry Potter. I also enjoy going to concerts and experiencing live music events to dance and let off some steam. I look forward to meeting you in the office soon! Hello, my name is Travis and I am the Brand Manager at Caring Medical. I work on a wide variety of visual projects including our website designs, medical illustrations, brochures, book designs, and more. Although I am new to the team, I have actually worked with Caring Medical on a freelance basis for over 10 years. It has been a wonderful experience thus far and I am excited to get to continue to grow with the company. In my free time, I like to work on 3D game programming and music programming projects. I am a super-nerd about anything having to do with sound synthesis and our auditory experience in general. When I’m not sitting behind a computer, I enjoy badminton, running, biking, hiking…anything outdoors.